Whether you’re loading up the whole family’s laundry, or just want to freshen up a few shirts, this Bosch dryer has a setting to suit. The WTN83200GB’s 8 kg capacity gives it more than enough room to take your daily wash, and it can fit bulky bed sheets with ease. 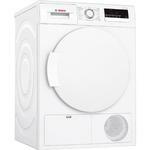 With plenty of features on offer, the Bosch WTN83200GB has more to offer than just its size. The AutoDry feature prevents shrinking as it dries your clothes gently, stopping the cycle when they’re perfectly dry. 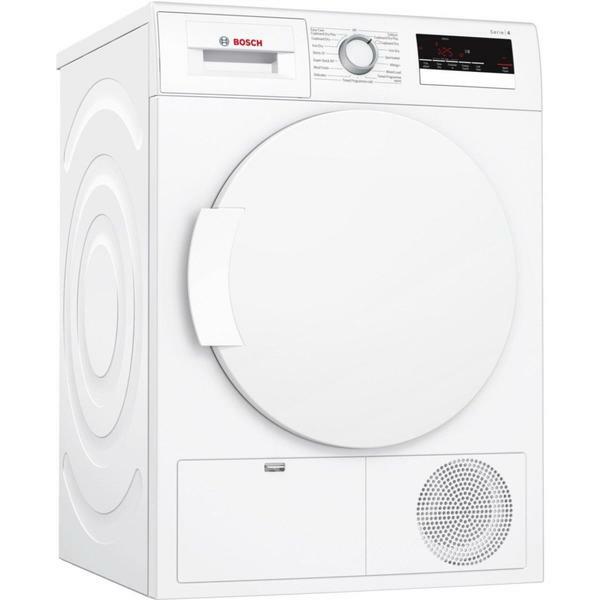 This also saves you money on your bills, as it ensures the machine wastes no additional energy. 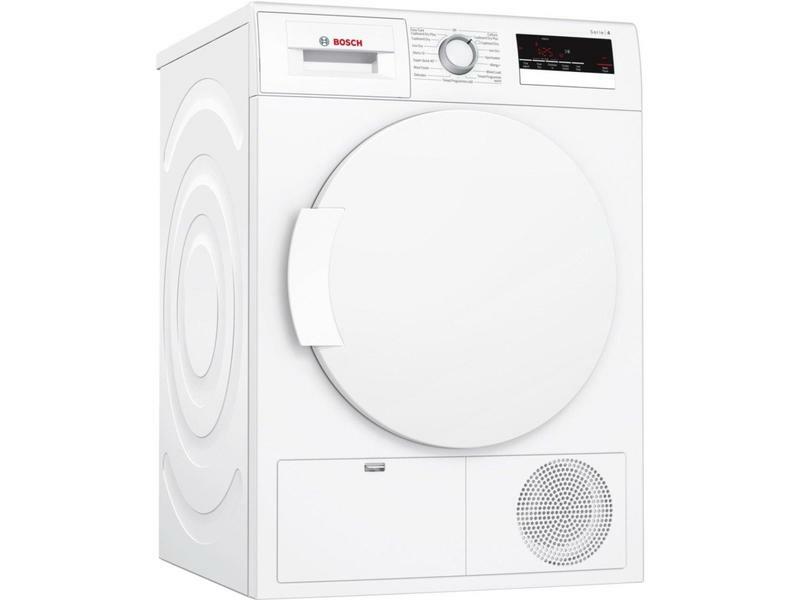 And, a number of the dryer’s features are designed around ease of use. These include an LED display with touch controls and a full container indicator to let you know when the drum is at capacity. The display also shows how much more time your laundry needs, and there’s a built-in buzzer to let you know when the load is done. If you lead a busy lifestyle, then take advantage of the Start Delay function, which dries your laundry at a time that’s convenient for you. The machine also boasts a child lock to keep away interfering hands, and features a high-level container to catch condensed water. Or, if you’ve missed anything that needs drying, then use the ReLoad feature which lets you add extra items when the cycle has already started.